Immediately after the Oregon shootings last week, I wanted to sit down and write about it. After all, as President Obama said, this has become way too routine in the U.S.A.. Crazy person gets a handful of guns, walks into a school, a movie theater, you name it and starts firing. People head straight to their standard positions—all guns should be banned or we have plenty of gun laws on the books, they’re just not being enforced–we hear about it on the news for several days and then we all go back to normal until the next time. I’ve blogged about this topic several times before. Like this one, this one and even this effort. I was trying to think, “What could I possibly say that I haven’t said before?” We know how to fix it, but we don’t. If you try to make it a little tougher to get guns, then you’re infringing on rights. 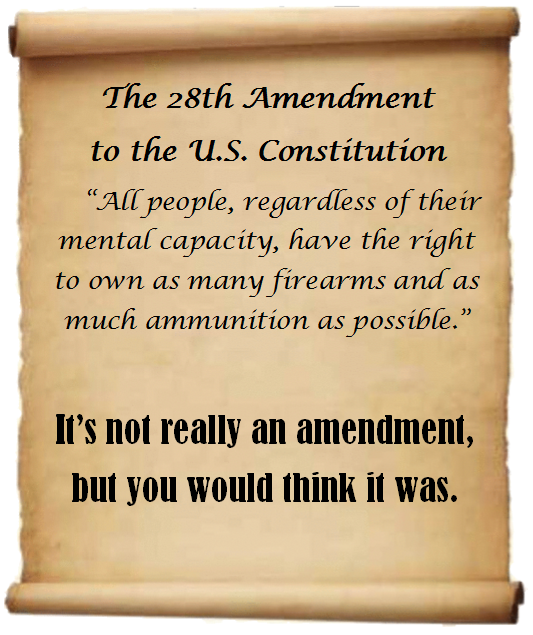 If you try to limit a person with mental issues from a getting weapons, then you’re violating the second amendment AND persecuting people with a handicap. I had this idea and toyed with the idea of posting it to Facebook, but then the whole rhetoric wars would break out again and I’m tired of hearing them. Blogging, to me, is therapeutic. It allows me to concisely convey my thoughts, my ideas, my concepts and then, preserves it online for as long as the Internet stays open. It’s my personal Tim Hunter time capsule. Use only as directed. I’ve given a little more thought to my blog this week as I was invited to speak to a class at North Seattle Community College on Thursday about blogging and writing in general. Former KLSY “Lights Out” host Peter Lukevich has always been one to give back and so, these days, you’ll find him at the NSCC campus a couple of days a week, teaching a class. Wow, speaking to a class of college students. How did I get here? Yet, as I thought about it, writing has been a very big (just not always obvious) part of my life. The bulk of my early years were all about radio. But that required writing–commercial scripts, comedy bit ideas, etc. Late in that phase of my career I found myself writing more and more. I went to the Northshore Citizen (now the Bothell-Kenmore Reporter) and pitched the editor on an “around town” type column, full of folksy fodder, real-life events and funny things that happened in town. I did that for an entire year before finally getting paid: a whopping $20 a column. I wasn’t doing it for the money, it was for the experience. Seven years later, I finally gave it up, having moved out of Bothell and I just wasn’t as connected as I needed to be to sustain the column. However, after all those years, I still had enough material to compile a “best of” book from the first five years of “Nosin’ Around Northshore.” And believe it or not, I still get recognized to this day from that column. Just last week, someone said, “Where have I heard that name before?” and sure enough, she remembered me from the newspaper column. After the column was done, I still had the writing itch to keep the stories coming, but from my life, not everyone else’s. So, I decided to start a blog. I kept trying to think of names that were clever but not dumb and with every new idea, I’d think, “Well, that’s stupid. That’s stupid.” Without dragging out this story any longer than it has to be since you know the answer, I went to GoDaddy and bought WhataStupidNameforaWebsite.com. Fluky idea. Interesting concept. So, who’s going to read this thing? I then realized that I had reached the point that any successful writer finally finds his or her self: I just don’t care! This is me, these are my thoughts and observations and this is just a blip in the universe of content that’s available online and somebody just might find it interesting. So, I kept writing and writing and now, here I am, a dozen years into this thing with over 660 posts to my credit. I pretty much write one blog a week, trying not to be too heavy, too preachy and definitely not boring. I gotta say, I was amazed when I actually look at the stats of my blog for the first time. Over the years, I’ve had 36,597 views from all corners of the world. The single most read blog was titled, “A Day of Sadness”, which was all about that tragic day last year when the KOMO copter crashed, claiming two lives–one of them, former UW classmate and all-around great guy, Bill Strothman. I’ve heard so many people say, “Oh, I can’t do that.” Yes, you can. Writing is just taking what’s going on in your head and putting it down in a more permanent form that you can share with others. It doesn’t come out perfectly the first time. You get it down and then polish it up. Writing is a muscle. With daily workouts, it gets easier and easier and you’ll find yourself enjoying it more than you ever thought possible. Besides this blog, I get up every morning and write for Radio-Online, a show prep service for disc jockeys. I have multiple clients that I write for, as well as personal projects that require some keyboard tapping, like my weekly update for Tim Hunter Creative Services. The point of all this–to say “thanks” to you. As you might imagine, one of the biggest rewards for any writer is to have their work read. And so, I’m using this week’s collection of thoughts to emphasize just how much I appreciate you taking the time each week–or, even just when you can–to visit my little corner of the Internet and see what’s going on.